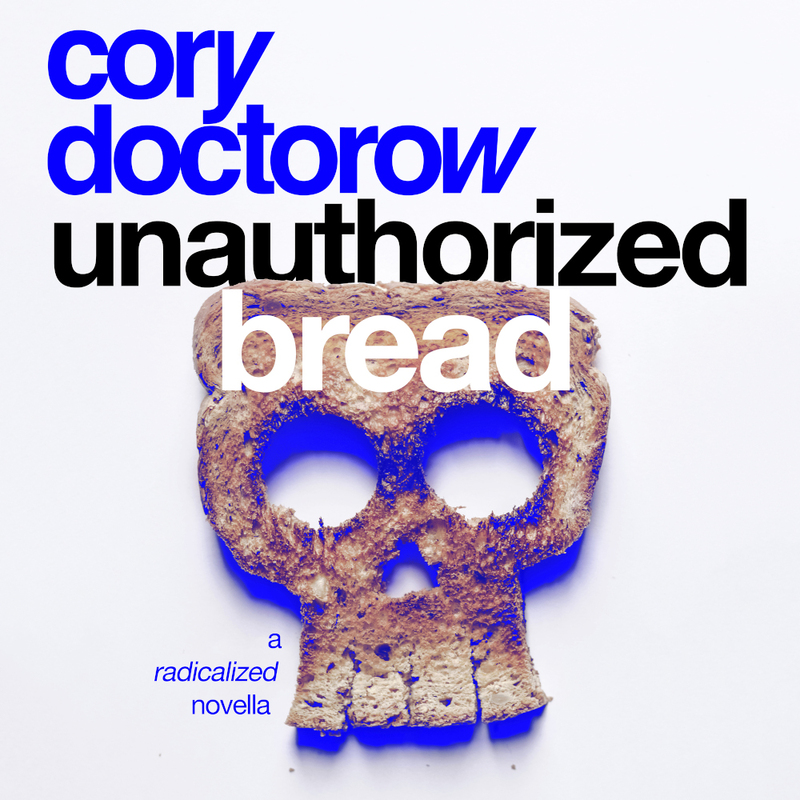 Unauthorized Bread is the first of four audiobooks that make up my forthcoming book Radicalized, read by the talented actor Lameece Issaq. The book, published by Macmillan Audio, is a Google Play exclusive, as part of a deal I made to celebrate the launch of a major DRM-free audiobook store that challenges Audible's monopoly on the store. But the Google Play folks have graciously permitted me to sell it with my other DRM-free audiobooks, so you can buy it direct if you prefer. There's three more audiobooks to come in the series (they're launching with Radicalized on March 19), and they'll all be sold on Google Play and on my site for three months, then they'll be available in all DRM-free audiobook stores (which probably means that they won't be for sale on Audible, unless the company makes good on its promise to drop DRM, which dates back to Amazon's acquisition of the company in 2008. Here's a little summary of the story: "Unauthorized Bread is a tale of immigration, the toxicity of economic and technological stratification, and the young and downtrodden fighting against all odds to survive and prosper." Unauthorized Bread is being developed for television by Topic Studios (a sister company to The Intercept).